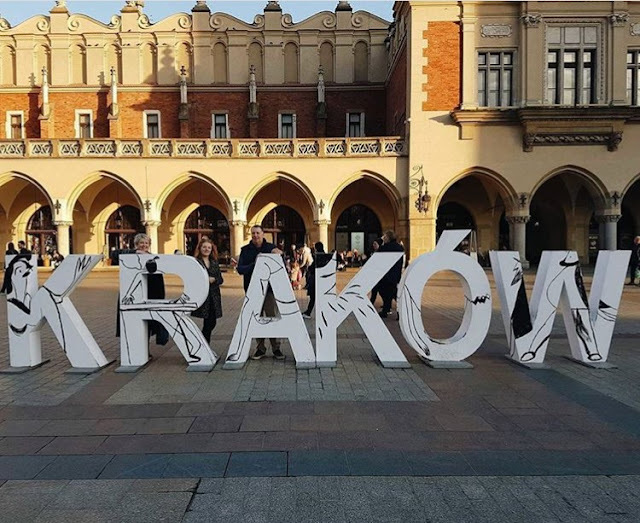 As well as the kitsch charm of Kazimierz, the main attraction of Kraków is, of course, Kraków – the city centre. If you’re looking for a European city break, I would truly urge you to consider it. Although a large and cosmopolitan city, the city centre is actually very accessible if, like us, you plan on doing most of your exploring on foot (which I would recommend – you see so much more of the city this way). In just a matter of minutes you can find yourself out of the small backstreets and into the wide open space of the Rynek Główny (the main square in Kraków). If we had have had more time, I could have spent an entire day just ambling through the square, hopping from café to café (Polish café culture is massively underrated if you ask me), exploring the acclaimed Rynek museum, climbing to the top of St Mary’s Basilica and browsing the cloth hall. 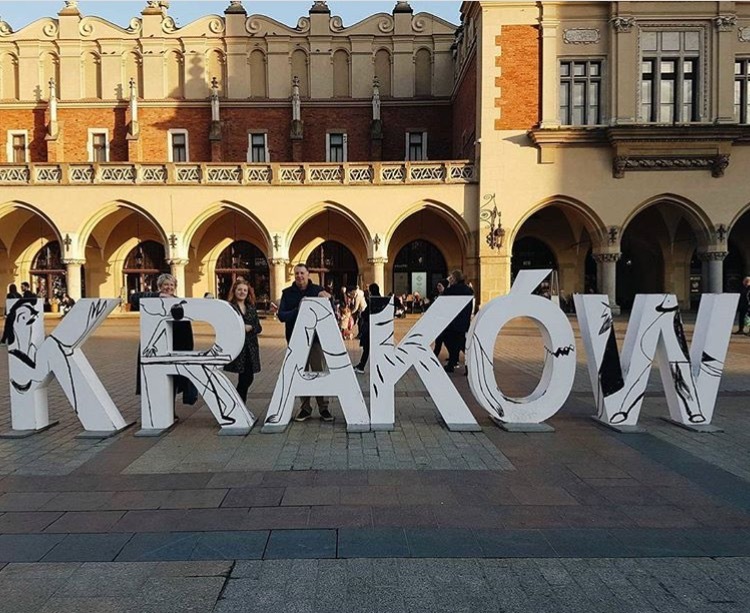 Even if you don’t have that much time, I would still hit up the cloth hall if you’re looking for a souvenir (I rock my Kraków t-shirt on the regular). In Kraków, you really can walk pretty much everywhere, but even we succumbed to the offer of a horse-drawn carriage ride around the city centre. Yes, I felt like a massive tourist in the back of the carriage, but like I say I’d already bought a t-shirt so f what people think. Besides, you can’t help but feel the romance when you’re being ferried around by beautiful horses in the freezing cold, surrounded by the beautiful Krakówian architecture. This is one for the aesthetics if nothing else. One of the most beautiful spots in the city is just a short walk away from the Rynek Główny and it’s the city’s gorgeous Wawel Castle. If you’re a historian or a photographer (or both, like me) (JK I’m an amateur) you will love it here. We were short on time, again, so we turned down the offer of having a tour of the castle, but the grounds were insane! We wandered outside the castle for ages, snapping pics, before finding our way, somehow, back down the hill beside the river. Around here, there was a sort of Kraków 'Walk Of Fame' (feat. ya boy Benedict) and an actual fire-breathing dragon (I think it’s meant to be lucky??) but to be honest I can’t really remember because I was distracted by the CUTEST LITTLE PUG PUPPY I HAVE EVER SEEN!! Of course I’ve gotta do a shout out to some of the food you can find in the city centre (shoutout to Café Mini where this pic was taken) because while I was there I drank some of the tastiest hot chocolate ever. Like ever. This is why I think Polish café culture is underrated. We all know that Europeans are the best bakers, but no one EVER thinks about Poland. Mate, you should. You can see from the picture how good that hot chocolate looks (FYI it was chilli hot chocolate, a popular menu item in Kraków), and if you wander down the streets leading off from the main square, you can find loads of these cafés of bakeries. Even in the Rynek Główny there are some great little bars and cafés. We ended up paying slightly more for the view, but with a view of the entire square I could have easily let that other hot chocolate last me all day. Actually, no I couldn’t. It was too tasty. I’m moving to Kerala brb.